How Long Does Opana Stay in Your System? 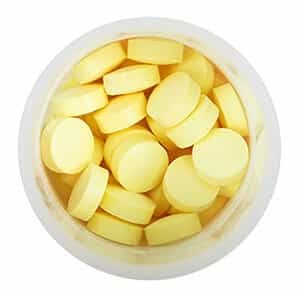 Opana – generically known as oxymorphone – is a type of opioid painkiller used to treat moderate to severe acute pain or to provide long-term, constant pain relief in those who cannot handle other analgesic medicines. It does, however, have a high addiction potential. Opana can result in substance abuse or addiction, either through misuse that leads to tolerance of the drug or through illicit, nonmedical use. As with other opioid medications and drugs, detox and withdrawal from Opana as part of drug rehab treatment can be very uncomfortable. People who are thinking about entering rehab for Opana abuse might be nervous about the detox process and the discomfort involved, and they may be hesitant to get help as a result. On the other hand, people might try to detox from Opana without help and relapse quickly due to the discomfort. Through an understanding of detox and withdrawal from Opana, it might be possible to resolve any concerns that might be preventing a person from entering rehab. In many cases, Opana is prescribed for long-term pain treatment. Sometimes, after it has been taken for a long time, or if it is misused, the person can develop a tolerance for the medication, needing more to achieve the same effect. In many cases, this can lead to substance use disorders, including addiction. People who become addicted to Opana or other opioids for this reason may have a very hard time stopping use of the drug because whenever they try to cut the dosage, they experience withdrawal symptoms that are very uncomfortable. These can include both psychological and physical symptoms that cause these people to crave the drug again or feel that they can’t function without it. As described in research from Addiction Science & Clinical Practice, because of tolerance and the resulting dependence, every time these people try to stop drug use, withdrawal symptoms return, repeating the cycle of abstinence and relapse. These symptoms range in severity based on the length and degree of the substance abuse, as well as the person’s individual constitution. Detox from Opana, and the subsequent decrease in withdrawal symptoms, does take time. This is based on the amount of time it takes for the drug to be eliminated from the body. According to information in the journal Pharmacy and Therapeutics, the half-life of Opana is between 9 and 11 hours. This means that it takes at least nine hours for half of the amount of drug in the body to be eliminated. Because of this and other factors, the timeline for the drug to be cleared from the body is usually about five days. This can vary slightly based on the individual, especially if the person has kidney problems. Withdrawal symptoms can last beyond the point at which the Opana has cleared from the body. In fact, according to the National Institute on Drug Abuse, people who are trying to quit Opana should be prepared for emotional symptoms, such as general depression or dysphoria, to last at least a few weeks after the last dose is taken. As with most opioids, it is highly recommended to taper dosages over time; however, this should only be done under medical supervision. Tapering the dose before stopping completely can help to alleviate the discomfort of withdrawal from Opana. Most people do not know the best way to taper and how long tapering should take. These decisions should be made based on the individual’s particular situation, including the length of substance abuse; the amount of the drug taken and how often; and weight, height, and other elements of physical constitution. Without taking these factors into consideration, tapering may not diminish symptoms as much as would be desired. In addition, those who attempt to taper on their own often simply relapse to full dosages. For this reason, medical detox is recommended to manage Opana withdrawal. Rehab centers often have programs that can help with both tapering and controlling withdrawal symptoms. Many programs use medications, as recommended through a study in Dialogues in Clinical Neuroscience. Drugs like methadone or buprenorphine can be used for the tapering process, rather than tapering directly from Opana, and this can help in managing cravings and decrease the likelihood of relapse. Because of the challenges of Opana withdrawal, and because withdrawal symptoms can create a risk for relapse, it is most beneficial for people to undergo detox in a rehab center. Medical professionals can simultaneously help to minimize the discomfort of withdrawal symptoms and plan the path for recovery that will follow in comprehensive therapy. Relapse into Opana abuse after attempting to self-administer detox can be risky because detox and withdrawal can lower a person’s tolerance to the drug. As a result, if the person then tries to use the drug at pre-detox levels, it is highly possible to overdose. As described in a study in Addiction, people who get substance abuse treatment are more likely to effectively manage substance use disorders in the long-term. Medical detox at a reputable addiction rehab center can be the first step to achieve and maintain long-term recovery.